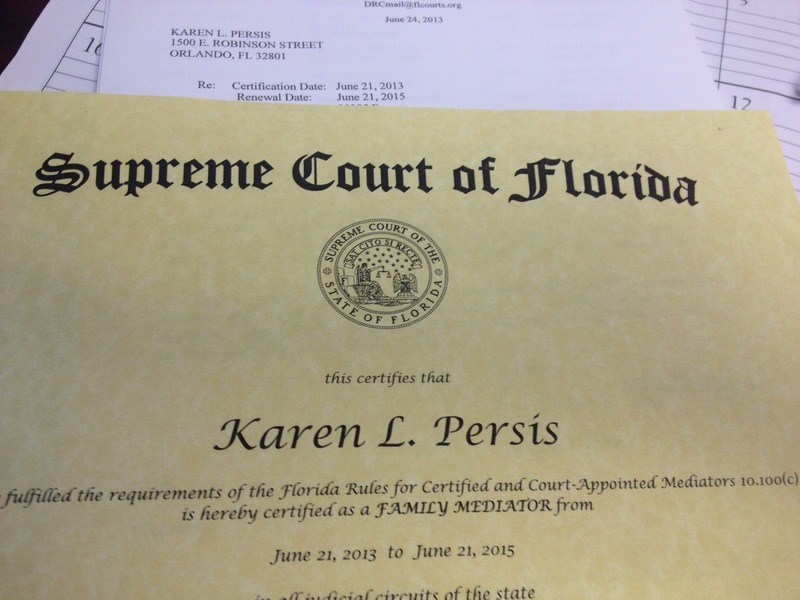 On June 21, 2013, Karen Persis became certified by the Florida Supreme Court as a Family Mediator. Mediation can be an effective tool to resolve disputes in family law matters. It generally saves time and money in the long run, and it can also dissipate the stress involved in family law disputes. It can be a great alternative to mediation. 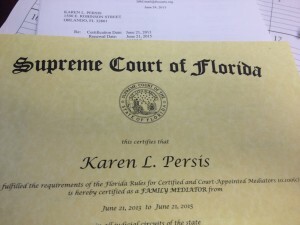 Karen Persis is now accepting mediation cases in Orange, Seminole, Volusia, Osceola, Brevard and Lake counties. Though she is located in Orlando, she will drive to your location. Her mediation rates are on a sliding scale, based on the income of the parties.